1) What’s the best thing about your house? 2) ‎ What do you want to achieve as House Captain? 3) ‎What do you enjoy about Pakuranga College, what opportunities have you had here? The best thing about Nikau House is the people. So a quote that’s often thrown around in my house is “Top 6”, because we’re often placed last in house competitions. We take this quote very lightly because winning isn’t what matters to this house, what matters is that everyone’s having fun, and as long as everyone’s had fun we’re happy, and it ultimately doesn’t matter to us what place we’ve come. What I’m very admirable of my deans’ is the culture they’ve cultivated within the house, the positivity everyone takes into life makes me incredibly proud to be a part of this house. What I’ve always wanted to do negligent of the position I’ve been given, is to bring joy into people’s lives and improve their life at school. That’s been the ultimate goal no matter the position. Hopefully I can be as helpful as I can to my deans and my house to make the year run smoothly. To me the best thing about Kauri house is the family aspect that we always try to project. We embrace our strengths to participate and do what we do for the enjoyment of it without letting competitiveness take over, which makes me really proud to be apart of my house. One of the main things I want to promote this year is the “create” learning habit. Students seem shy to share talents. So, in Kauri house I want our assemblies to showcase more than just the house leaders and deans on the stage. I want to find multiple students with different talents and visions and increase their confidence to share their talents or even just talk about it, because the chances are that someone else in the house will relate or be interested and will create a ripple effect and hopefully inspire other students. I want to convey an approachable vibe by working closely with the students of Kauri house. To build relationships that hopefully instill trust between leaders and other students by showing them that wearing a badge doesn’t make me any different. I want to do this because when I was a junior I felt as if there was a barrier between the leaders and other students and I don’t want that for future generations; and I have spoken to students who feel the same way about this current year and I want to change that. I also want to achieve consistent activity within the house so that technology leading to anti social behavior during tutor, doesn’t become a normality for our students. One of my favorite things about Pakuranga College is the amount of opportunities that any department can provide for any type of student. I love how Pakuranga College is very open to suggestions and are able to cater all aspects of my academic and cocurricular life. I also really love the way that the school provides multiple opportunities to help the community. The opportunities that Pak has given me are a variety of places and competitions to play my two main sports, basketball and football. These opportunities led me to strive for a representative basketball team that I was selected for last year where we came 2nd in New Zealands for U17 girls and it all started with the great staff and coaches that Pak has provided me. I am able to join councils for almost anything I enjoy, from sports council to English club for my love of writing. Pakuranga College has given me the opportunity to meet so many people that support and push me to pursue my passions and I love that about the environment of the school. One of my favourite things to do are plan charity events and the college has given me a platform to approach and speak to hundreds of students about the issues that I’m passionate about. I enjoy public speaking and reaching out to people and Pak has provided me with various platforms for this and I appreaciate that about our school. The best thing about Rimu house for me is the house atmosphere, I feel like everyone in Rimu are good mates and will have each other backs through thick or thin. As a house captain I would like to keep the Rimu spirit growing and keep maintaining our house as the excellent house that it is. I would also like to improve on our assemblys and making them more fun for the house. 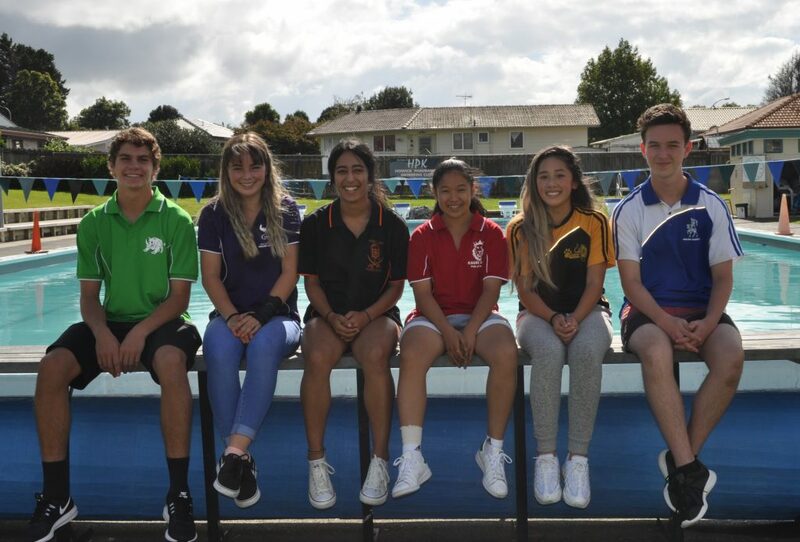 At Pakuranga college I enjoy the banter that we have with each other and how everyone is friendly and welcoming to new students and in general school life. While at Pakuranga College I have had many opportunities. Some of these include, playing for the first 11 football team, being able to discover what I want to do in my future through the careers gateway program and to grow my leadership within Rimu and in the general school. The best thing about Matai house is that it feels like a family. As House Captain I want to be able to have a positive impact on those I work with and/or influence. Pakuranga College has given me the opportunity to explore and become involved in new things, I have been pushed out of my comfort zone and therefore allowing for new new knowledge, memories and friendships. There is something for everyone, I really enjoy the diverse range of activities and chances that are available to myself and other students. The best thing about Pohutukawa house is our house spirit. Every one of us bleeds orange and are extremely proud to be a pirate. The students, deans and overall vibes of the house are what truly makes us feel a strong sense of belonging because “More than a house, we’re whanau”. Our deans are very welcoming and have always reminded us of their open invitation to us all to go in and have a chat if we are struggling with anything. As a house captain I would want Pohutukawa to achieve success and togetherness. I also highly value the involvement of as many students participating in house events such as athletics, swimming sports and house arts because these events create the best memories for students that they are able to cherish forever. Therefore I’d like to strongly encourage the house to participate in as many extra activities as they can so they can meet new people and come away with the experiences from Pakuranga College. Personally I enjoy the inclusive atmosphere at Pakuranga College. Everyone is friendly and approachable and there are many opportunities to meet new people and make new friends. I also enjoy the way teachers adapt their teaching styles and mix up lessons to suit the ways in which students are able to learn best. Some of the opportunities I’ve been grateful to have had here is going on the cycling leadership camp (which was some of the best days of our lives) and being a leader of the premiere girls basketball programme for a couple of years and winning the Northern Cup basketball tournament undefeated in 2017.